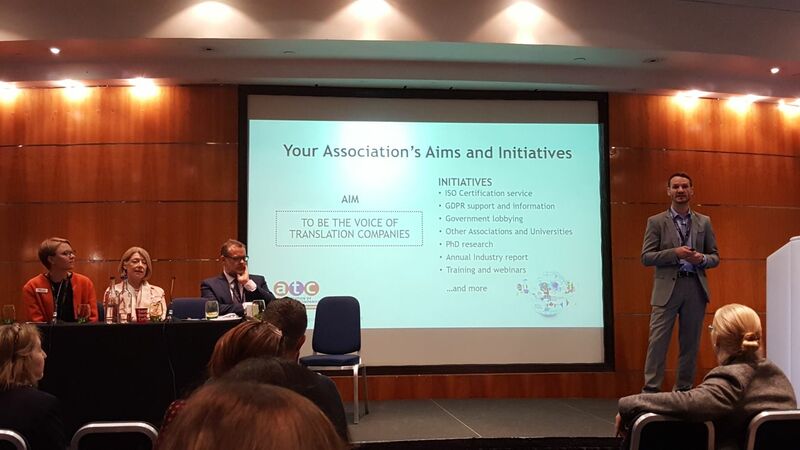 Wolfestone Founder, Roy Allkin, has confirmed to the Association of Translation Companies that he will be stepping down from the Chairmanship at the forthcoming Language Industry Summit. Chair of the ATC since 2009, Allkin has utilised his industry insights as Director of Wolfestone Holdings – which encompasses translation giant, Wolfestone; voice over and subtitling specialists, VoiceBox; and language learning experts, Robertson Languages International – to play a pivotal role in helping to raise the standards of the industry and promote the highest degree of professionalism. Allkin stepping down will be made official at the upcoming ATC Language Industry Summit, at which hundreds of translation professionals come together to discuss any developments and insights in the world of translation. Allkin confirmed that he would be replaced as Chair by Ruth Partington, and that the ATC would be gaining a new CEO in Raisa McNab. He will, however, continue to sit on the ATC National Council and will now step up to represent the UK at the EUATC. This year’s ATC Language Industry Summit will be held in the Hilton Hotel in Cardiff city centre. As part of this two-day annual event, an awards ceremony and gala dinner is held to recognise those who have performed with distinction in the translation industry over the past 12 months. Wolfestone’s Senior Project Manager, Costanza Rocchi, is a finalist in the category of Project Manager of the Year.